Andy Mitchell pitching in a relief appearance against the Rochester Red Wings on Saturday May 18th. 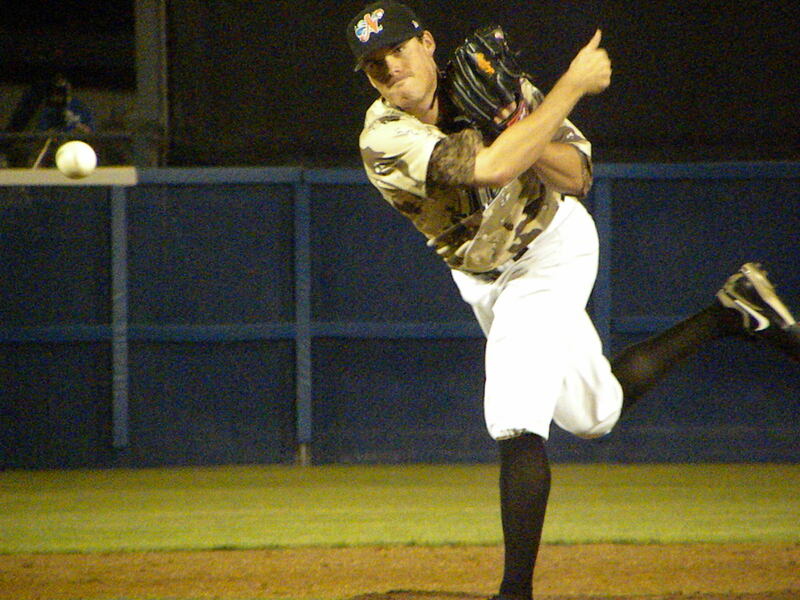 The Tides lost but Mitchell pitched 3.2 innings without an earned run. Andy has an uncommon “submarine” delivery that makes him effective when he follows a hard throwing overhand pitcher. He has the most wins of any Any Tides pitcher in franchise history.